NO TOKENS! – Just come, taste and enjoy. Easy! Did you know women are represented in over 50% of wine-centric university degrees, yet in only 10% of wine production. What?! This event aims to provide visibility for women winemakers and owners/operators, particularly in a customer-facing capacity. We want to celebrate (and drink!) the wonderful wine these wonderful, talented women make. DoW is about celebrating the real women of wine. The quick-witted, booze-swilling, fierce and talented ladies we know them all to be. And to encourage more of them to join this club, profits from this event go towards providing scholarships to young women in the wine industry. The Daughters of Winearchy will be ready to ride in Sydney on November 17, 2018. 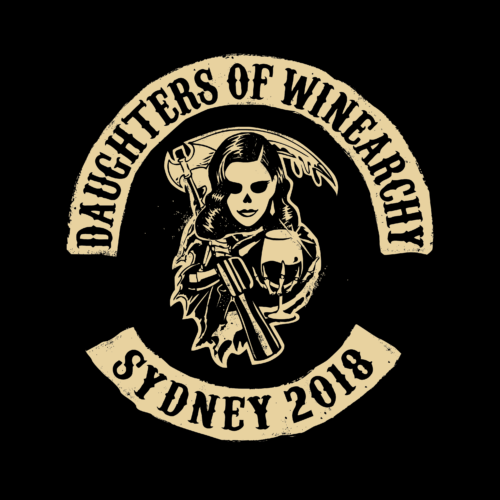 Get ready for Daughters of Vinarchy!